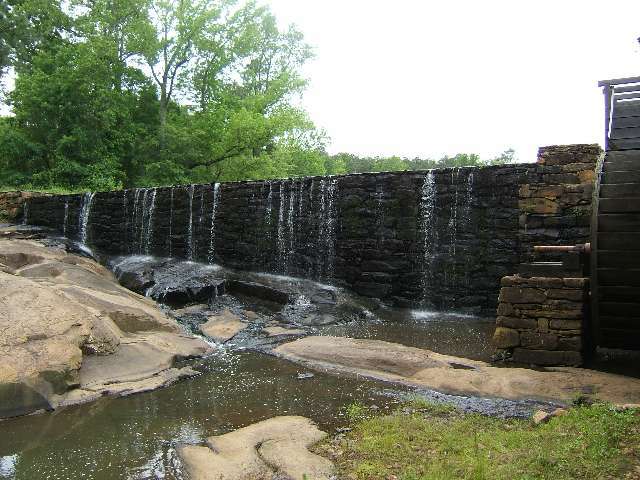 Located off Lake Wheeler Road five miles south of downtown Raleigh, Historic Yates Mill County Park features the only remaining gristmill in Wake County. 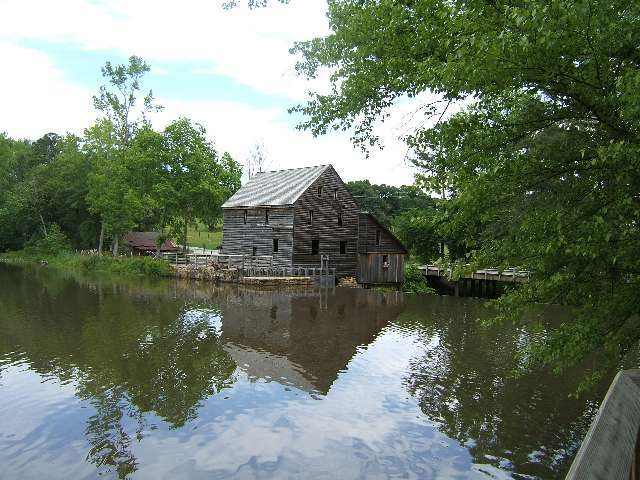 The old mill on Steep Hill Creek that we today call Yates Mill has stood on its foundation since the 1750s, despite disasters including floods, hurricanes, war, and neglect. Today the mill is fully restored and operable. 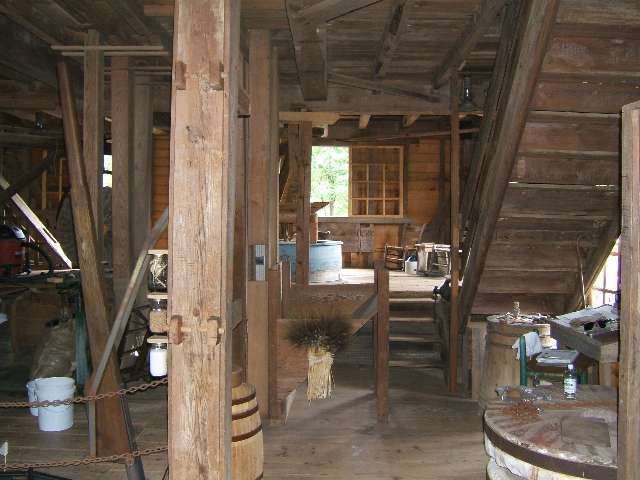 The mill was restored, and the park developed, through a multi-partner collaborative effort among Wake County, NC State University, the NC Department of Agriculture and Consumer Services, and the non-profit group Yates Mill Associates. 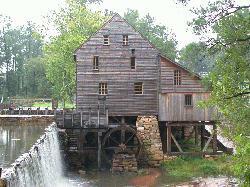 A day at Historic Yates Mill County Park offers visitors an "Escape from the Everyday Grind" with unique cultural and environmental experiences. The park boasts nearly 600 acres of land, including the 20-acre millpond, which is part of the Swift Creek nutrient-sensitive water-supply watershed. Diverse park habitats include pond, creek, wetlands, and forests. Historic Yates Mill County Park is managed as a preserve for native wildlife with a mission to study and interpret the cultural, natural, and agricultural heritage preserved in the park. The park serves as a research facility for NC State"s College of Agriculture and Life Sciences, and is surrounded by the university"s Biological Field Laboratories. 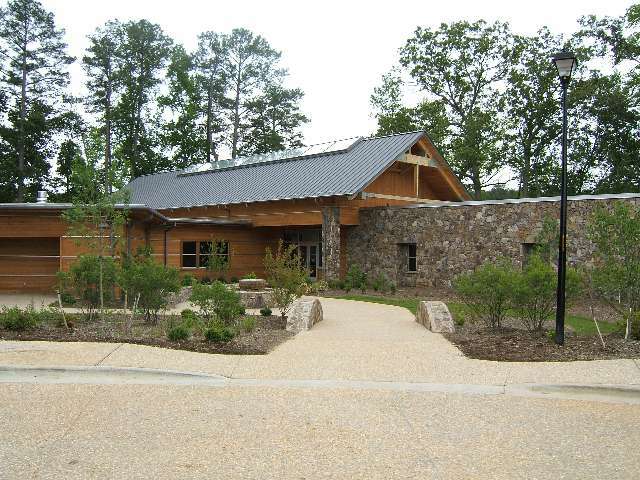 Park facilities include the restored gristmill, a park center for education and research including two classrooms and an auditorium, and permanent exhibits on the site"s cultural and natural history. Park grounds support several miles of hiking trails, pond and wetlands boardwalks, an outdoor classroom, an overlook deck, fixed dock, picnic tables, native landscaping, wildlife habitat enhancement features, and best management practice demonstration areas. Park programs focus on the site"s ecology, cultural history, and agricultural heritage. Visitors can look forward to cane-pole fishing, guided canoe floats, seasonal natural history and agricultural programs, and tours of the fully operational gristmill. On the third weekend of each month through November, costumed interpreters will provide a look back into the mill"s history with guided tours of the restored mill and traditional water-powered corn-grinding demonstrations. Hours of Operation: Open 7 days per week, 361 days per year, 8:00am to Sunset The park is closed on Thanksgiving Day, Christmas Eve, Christmas Day, and New Year's Day The A.E. Finley Center for Education and Research is open 7 days per week, 361 days per year, 9:00am to 5:00pm.